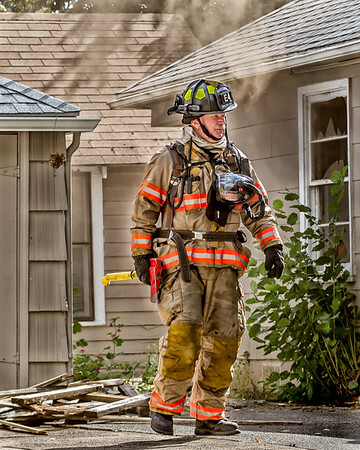 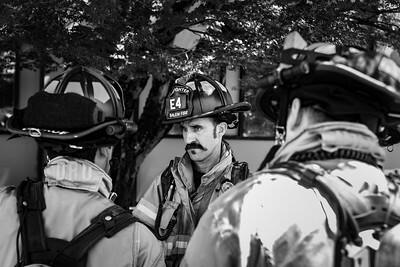 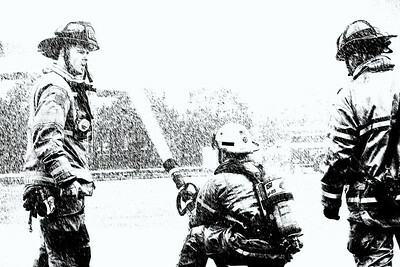 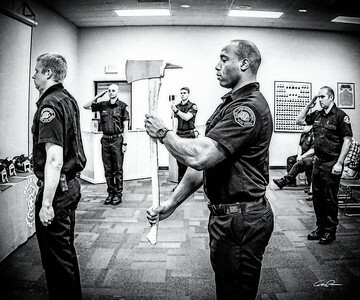 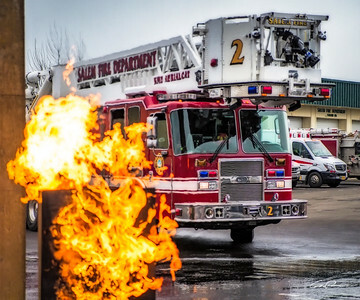 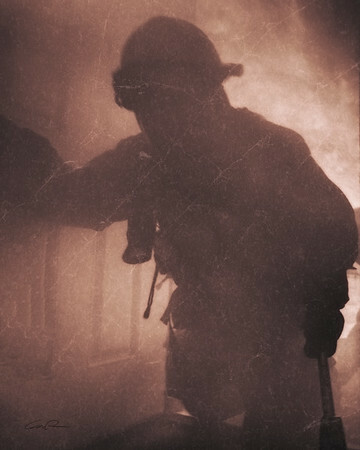 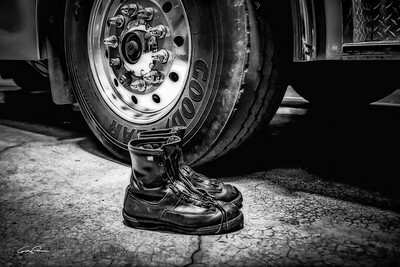 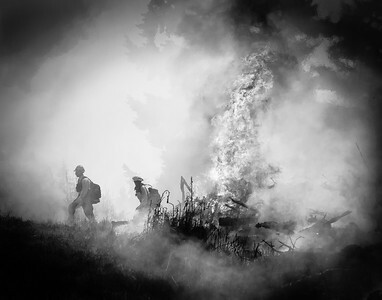 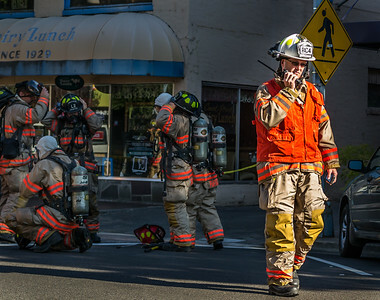 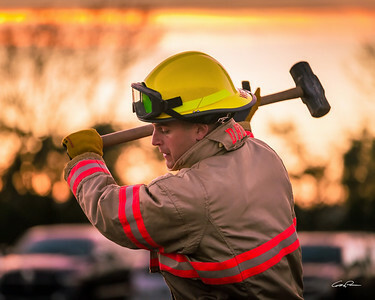 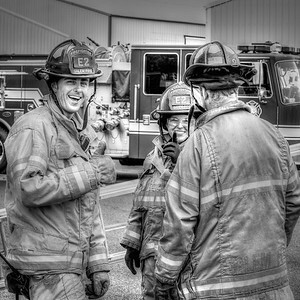 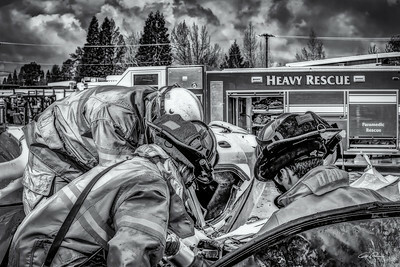 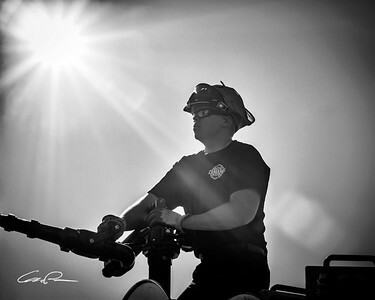 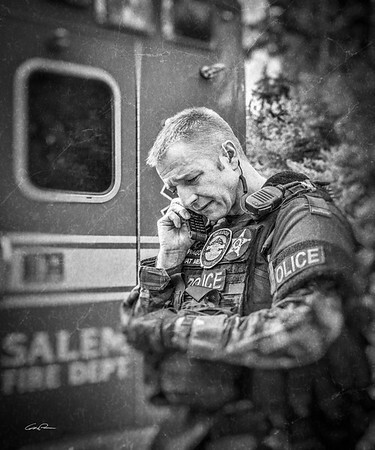 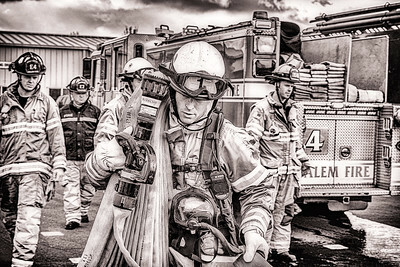 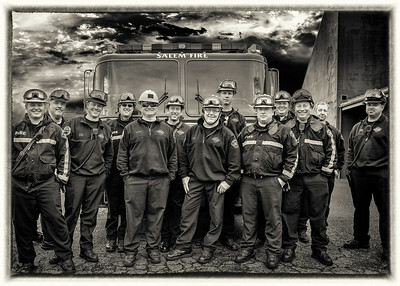 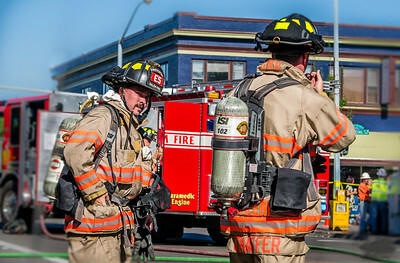 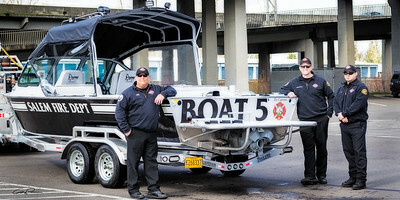 These photos were featured at the Salem Fire Department 160th anniversary, on display at the Willamette Heritage Museum. 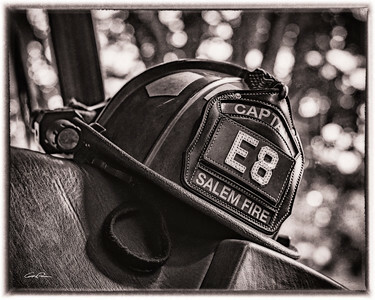 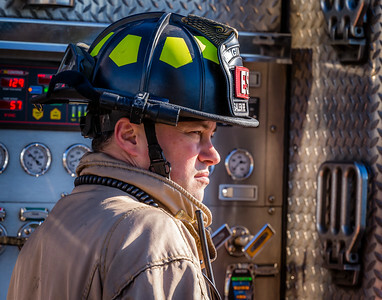 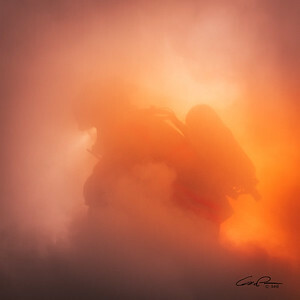 All profits from sales benefit the Salem Fire Foundation. 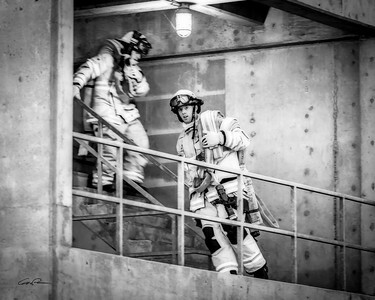 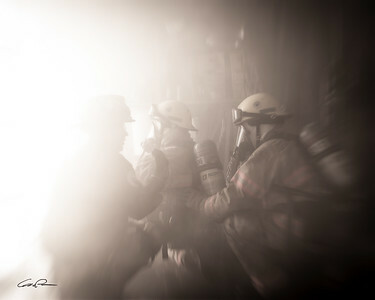 Firefighters in full protective gear and SCBA work to advance 2 1/2 inch hose to an upper floor using a ladder. 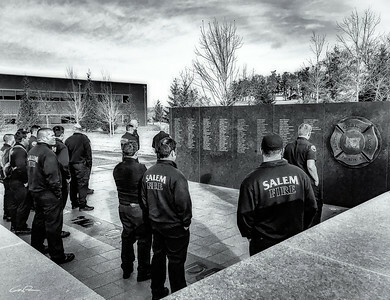 Salem Fire Department Recruit Class 2017-1 post the colors at their academy graduation. 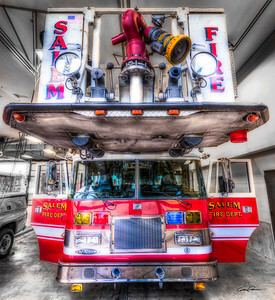 Salem Fire Department's Ladder 2 is one of two staffed aerial apparatus for the City of Salem. 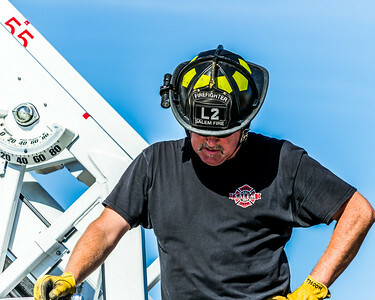 This truck, in addition to its aerial platform and ground ladders, carries extrication equipment to perform heavy rescues. 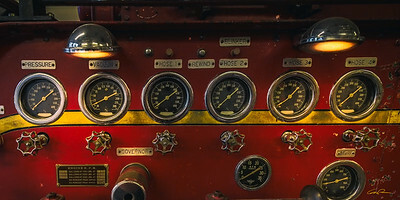 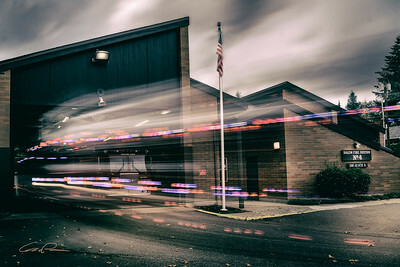 With a nod toward the past, this photo shows the pump panel on the side of Salem Fire Department's long retired Kenworth engine, which is currently housed at Fire Station 3. 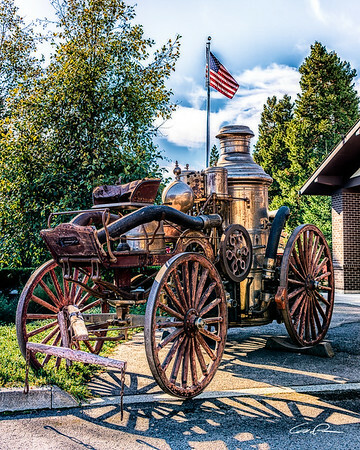 This horse-drawn steam pumper entered service at the Salem Fire Department in 1880. 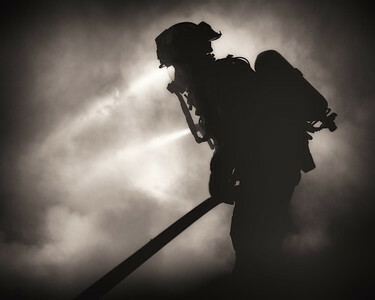 It pumped its last fire in 1935 when the Oregon State Capitol building burned. 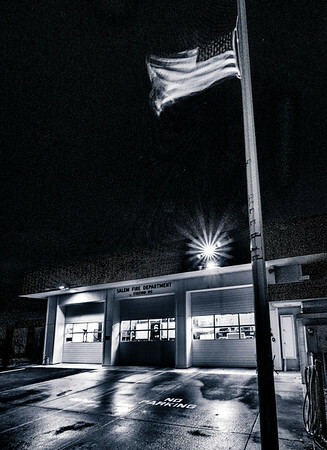 It is currently housed at Salem's Fire Station #7. 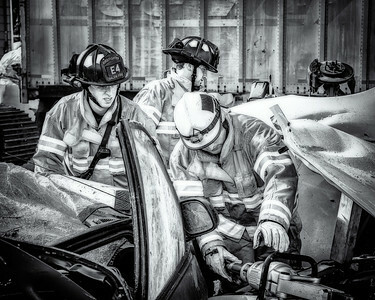 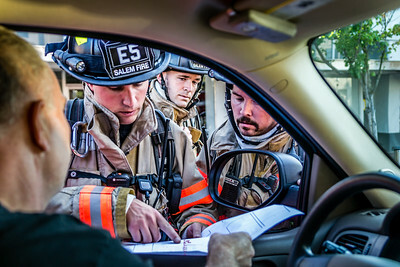 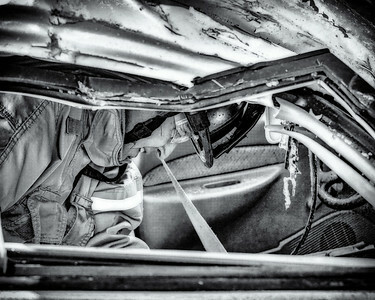 Salem FD crews work to gain access to an automobile. 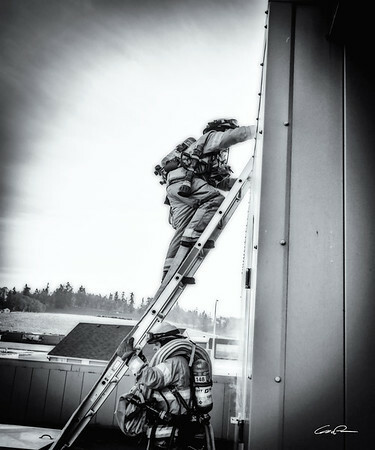 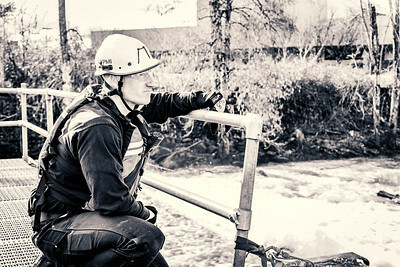 Firefighter/SWAT Paramedic Clint Wagoner completes an objective during a SWAT deployment in the Willamette National Forest. 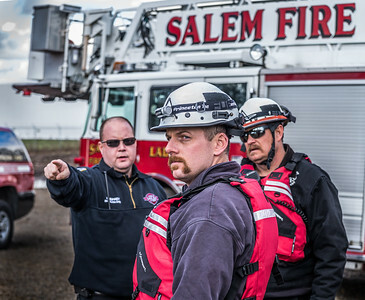 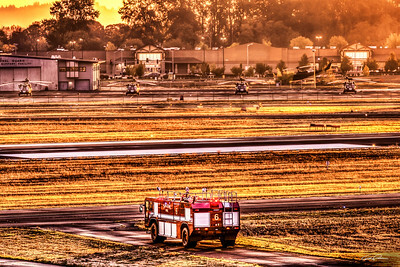 On a quiet, early Sunday morning, Salem Fire Department's Foam 6 begins its regular airport inspection of Salem's McNary Field. 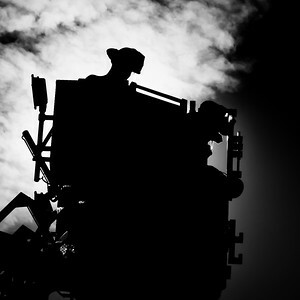 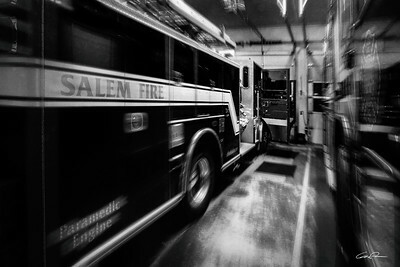 Salem Fire Department's Ladder 11, now a reserve apparatus, has seen a lot of action in its lifetime. 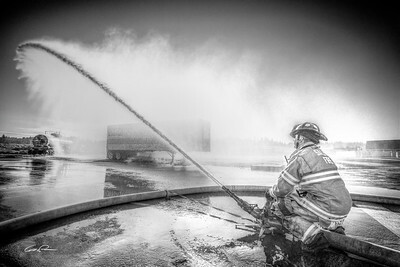 Engineer Brian Mitzel and his crew from Salem Fire Department Engine 2 practice cooling a tank car at a Haz-Mat drill at DPSST. 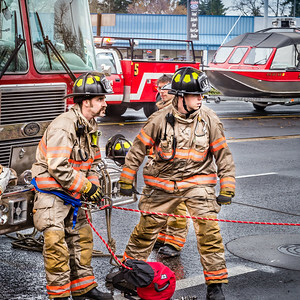 Keeping a safe distance is important, but high winds complicate matters. 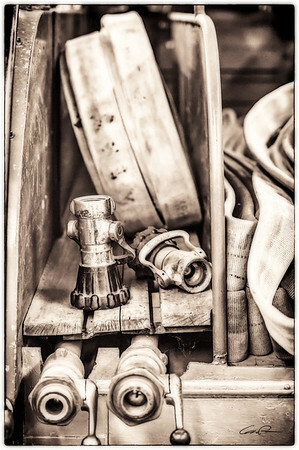 This early pumper for the Salem Fire Department was built by an apprentice of Paul Revere. 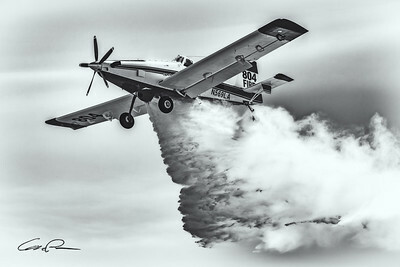 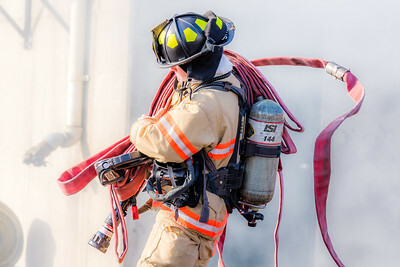 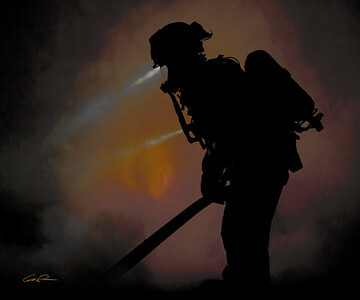 It required the use of human power to pull it to the fire scene, and in turn was also pumped by hand upon its arrival! 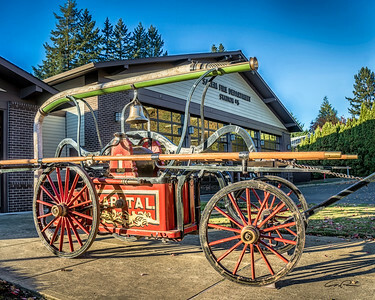 It is currently housed and on display at Salem's Fire Station #5.